As any type of financial services sales professional, I’m sure you’ll agree with me that as long as more people know you, they know about you, they can feel you, you’re certain to have better success in at least 2 areas: your prospecting and meet up ratios.The challenge is actually to let as many people know your offering as possible! Now, what distribution channel allows you to reach out to the most number of people with the least effort? Hint: by reading this post, you’re already on it. That’s right, it’s the internet! To this day, over 1000 people have signed up for and built their online profile on Synchestra in Singapore, Malaysia, and The Philippines. But let’s focus on just 2 of them and what strategies they have been using to increase their reach! Firstly, both of them got on to Synchestra.com and signed up for a free account, which includes lifetime access to profile builder. Both of them started with a basic page with just a written introduction. But their pages were up and running in less than 5 minutes. Many advisers wouldn’t know what to write or put inside a page, that’s why they attended the Brand in You Workshop (Singapore), which we are offering for free as well on a regular basis, for an easy to follow through sales pitches and templates on their online profiles. 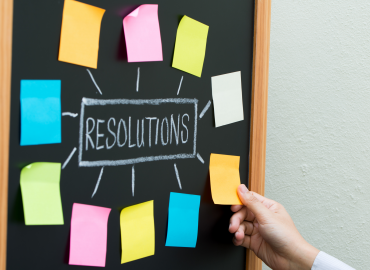 Now that the preparation work is done, it’s down to how you would implement this into your process. Here’s what Kieran did to get more than 150 views in a single month and increased his meetup ratio with prospects. 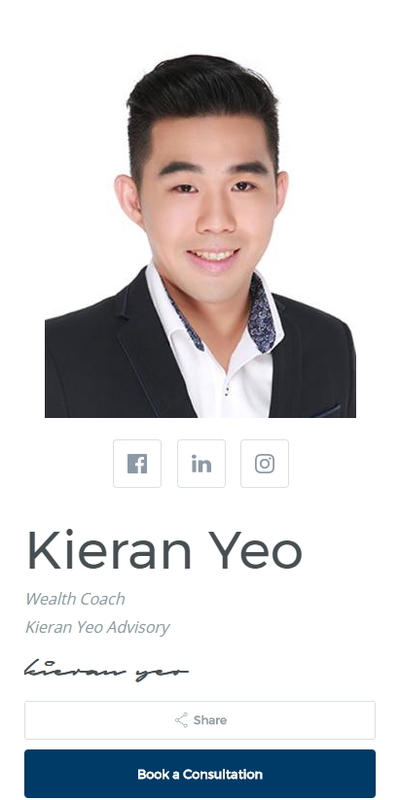 Kieran recently attended a course on referrals and was very fired up with referrral acquisition. When taking referrals, all he did was to ask his clients to forward his profile to their friends. What did this achieve for him? 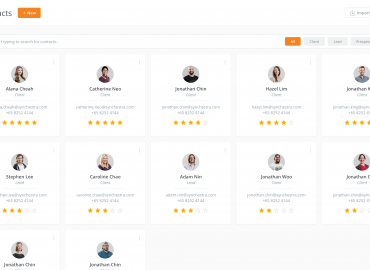 First, his clients have a tool to refer people to him. Next, the referrals got a direct recommendation from their friend, increasing the trust levels immediately. Lastly, because the referrals now have spent an average of nearly 6 minutes on his page, they are reading about him and reading his testimonials, they will feel like they know him. Even when he meets up with the referrals, he starts the conversation with the profile, and he even closed a case on the first appointment easily. His client experience and his personal branding were better than that of an average adviser. What if you don’t have that many open leads at the moment, but would like to generate new leads? Let’s take a look at the case of Megan. Her focus on offering immense value on daily and medical matters to families, individuals, and even corporates have benefited many people. So think of the possibilities if more people knew about the good work that she’s doing! That’s why she even posted her profile on Facebook, to leverage on her existing network – that directly resulted in 52 views in a 24 hour period. That’s like reaching out to 52 people and giving your elevator pitch in a single day, even as you are not doing it actively! 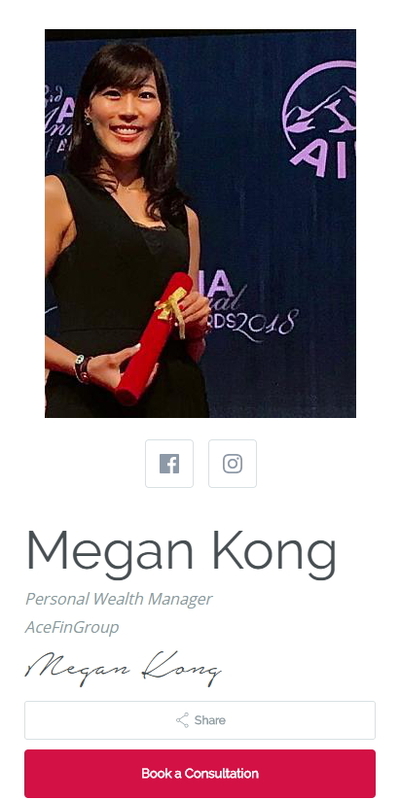 At the same time, she now shares her profile with new prospects and referrals, which has clearly led to higher meetup ratios and credibility. Both profiles were eye-catching, offers a genuine picture of them, and more importantly, contains real testimonials from the people they have helped. The next thing I’d like to talk about is how these pages are not perfect, the videos may not be professionally filmed, but they get the job done. The most important thing is still implementation. So here’s a way to easily add it to your process. You’re at a roadshow, at a street survey session or you’re doing cold calling and managed to interest the prospect enough to agree to an appointment. Like what I said, easy to implement, but achieves many things. This script lets a cold prospect who has only spoken to you briefly, to better know you, know more about you, and see some social proof! Tell me how is this not going to improve your meetup rates! You’ll be surprised at how many people are willing to do this for you. After all, it’s just sharing a link! With Synchestra Profile Builder, these 2 scripts, and some implementation, I’m sure you have a clear idea of how you too, can use very little effort to make huge steps in your practice. Feel free to click on the follow-up links below if you want to get more, and improve your practice even further! 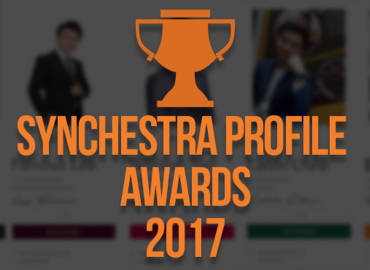 Synchestra Profile Awards 2017 – Results Are In! © Copyright 2018 - Synchestra Pte. Ltd.